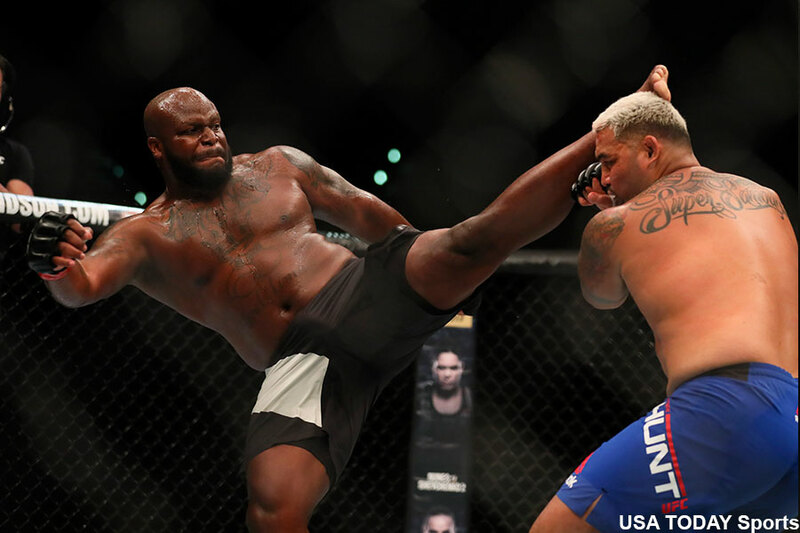 A lingering back injury has forced heavyweight Derrick Lewis out of Saturday’s UFC 216 fight against Fabricio Werdum. Lewis’ abrupt exit came just minutes before the start of the show’s preliminary bouts. During the broadcast, UFC play-by-play man Jon Anik announced Walt Harris has agreed to step in to face Werdum. Harris was initially slated to fight Mark Godbeer in the prelims. It is unknown if Lewis or Godbeer will be paid their show money. The good news is that a pair of title tilts will still headline the gig. Bitter rivals Tony Ferguson and Kevin Lee vie for the vacant interim lightweight belt in the main event. Flyweight king Demetrious Johnson looks to make a UFC record 11 straight title defenses when he meets Ray Borg in the co-featured attraction. UFC 216 takes place inside T-Mobile Arena in Las Vegas, Nevada. * – Derrick Lewis pulled out at the last-minute with a back injury. Harris was slated to fight Mark Godbeer in the prelims, but accepted the Werdum bout.